Check out what others have to say about sip-n-glo. 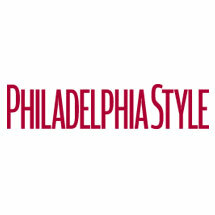 Philadelphia Magazine: Sip-N-Glo Juicery named best green juice by Best of Philly's 2014 Readers' Poll. Uwishunu: The Inaugural Philly VegFest Takes Over the Headhouse Shambles with Food Samples, Demonstrations, Discussions and More. Wee Wander: Get Juicing, Kids! Jessica Procini: Sipping, Glowing & All Things Juice with Kristin Lubsen!